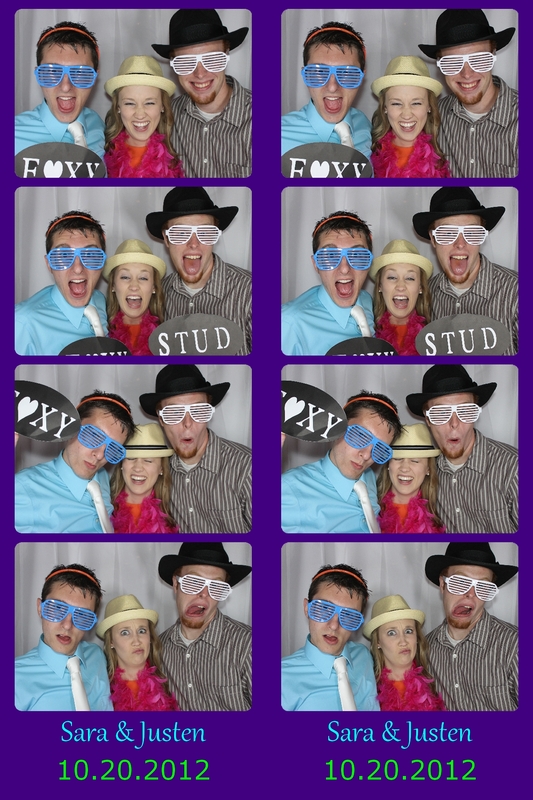 Sarah & Justen chose Yellow Leaf Photo Booth to enhance their Louisville Wedding Reception. 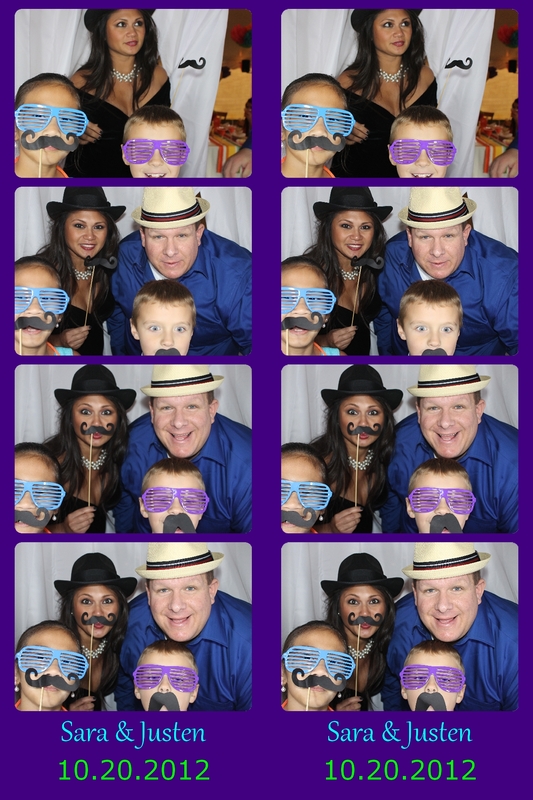 Utilizing the All-Inclusive Classic Photo Booth package which includes unlimited photo sessions, our huge selection of props, on-site photo booth attendant and a scrap book Sarah, Justen & all their guests had a great time. 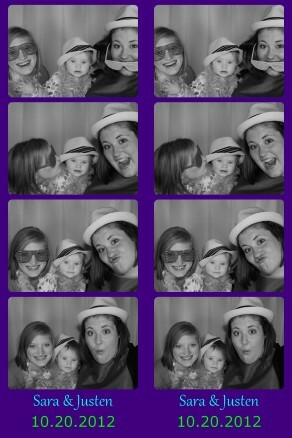 Speaking of good times…Our included scrapbook and huge selection of props were a big hit! 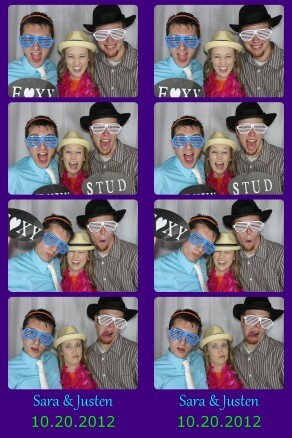 We had on hand funky hats, sunglasses, feather boas, mustaches on a stick, custom message signs and the ever popular white board for guests to write their own message to the Bride & Groom. 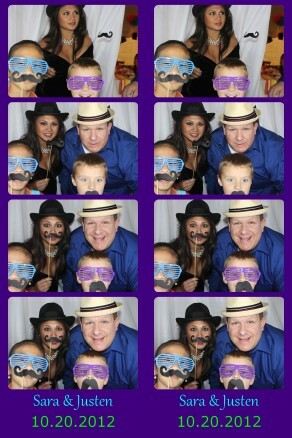 The scrapbook was quickly filled with photos of the guests and fun messages to Sarah & Justen. 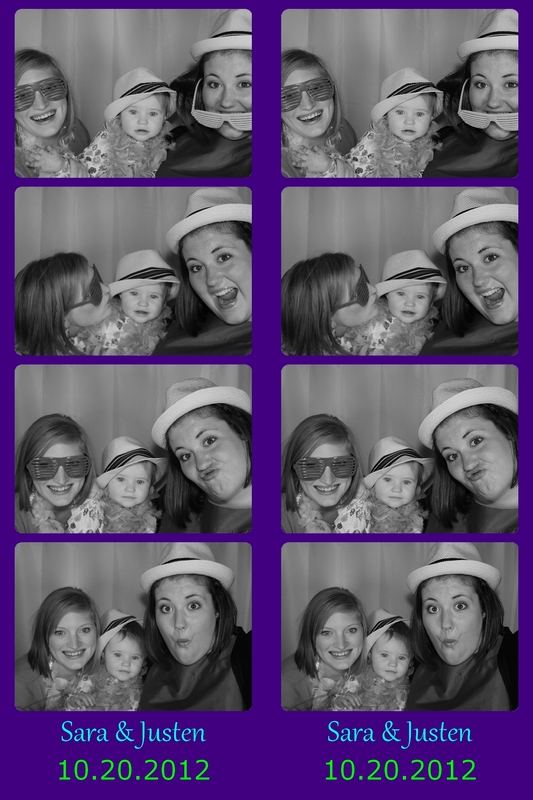 Check out more photos from Sarah & Justen’s Louisville Photo Booth by clicking here.